1 What is a Power Supply? Does it Matter for Gaming? 2 How Much PSU Wattage Do You Need for Your PC? 4 What is a Modular Power Supply? Should You Buy Modular vs Non-Modular PSUs? 8 What is the Best Power Supply Brand in 2018? Choosing the best computer power supply for gaming is an often-overlooked aspect of building a computer as a gamer. Kinda makes sense though, right? You'd be forgiven to think that a power supply is just, well, a power supply, and that it doesn't really matter which one you get. Bad move, hombre. Some things in life are only as strong as its weakest link, and computers are one of those things. Whilst it's not going to affect gaming performance which is what everyone cares about, and in most cases there's no need to throw down serious cash on a top of the range model, choosing a good power supply (also known as the PSU: Power Supply Unit for the newbies) is important to reliability power all of your precious gaming PC components for years to come without letting your system (and your wallet) down. Poor old power supplies never really get the respect they deserve. Not the most exciting component to buy and install, but don’t underestimate the part it has to play in a good gaming system. But how do you pick the best PSU for gaming PCs? How much power do you really need? What about modular vs non modular vs semi modular PSUs? What other features are important? We're here to answer all these questions and more and to give good-old PSUs some love, and in this buying guide we'll explain everything you need to know about buying the best computer power supply for gaming PCs in plain-English (no need to run if you're a noob) so you can easily pick the right one for your needs. If you want to get real basic (no judging on our part; we've all been there, friend), in a PC the power supply is the metal box typically located in the bottom corner of the case, and it connects from the back of the PC to a power wall socket and converts AC power from the mains to usable low-voltage DC power for the internal components of the computer. Computer power supplies come with a range of cables to connect to your motherboard and also to other parts such as storage drives, graphics card if your card requires dedicated power (some do, some don't), case fans (sometimes), etc. Are they important for a gaming PC build? Absolutely, as gaming setups are typically quite powerful and your PC will benefit greatly from having a reliable, decent-quality power supply to take care of your expensive components for as long as possible and to reduce power bills by running your PC efficiently, not to mention to also give you peace of mind that your PC won't overheat, blow-up, short-circuit, run with excessive noise (cheap power supplies aren't just a gamble on quality but may run annoying loud as well), etc. How long is a piece of string? Gaming computers vary greatly, from $300 scrappy entry-level gaming builds that you probably wouldn't ever tell anyone about, to $2000+ monster setups that you wanna brag about to your friends, and therefore your power requirements in terms of your PSU are going to vary greatly also. 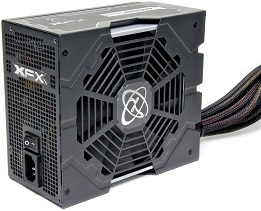 As a general rule of thumb though, for most gaming PC builds these days you'll be looking at a power supply that provides power between 450 watts to 850 watts. 95% of PC builds are going to fall within this range, unless you're either building an anomaly of a build that's either under $300 (good luck with that) which may not even need 450w, or an extreme gaming rig in the thousands with a ton of extra add-ons that may actually require more than 850w (ie extreme multi-GPU NVidia SLI or AMD CrossFire setups). However, what you wanna do is calculate roughly how much power your pc parts-list will require, and get a good power supply that is slightly more powerful than what you need. So, if your parts requires around 400 watts, then get a 500-550 watt unit. Leaving a little wiggle room like this is common and the smart thing to do so you can therefore add on upgrades later on without needing to upgrade your PSU. How do you calculate how much power your gaming PC needs? Glad you asked. A great place to start to work out how much maximum power you need is with online calculators such as the eXtreme Power Supply Calculator, or by entering all your parts into PCPartPicker. Just makes sure to add around 100 watts or so to your required wattage to take into account any future upgrades, and more if you plan on adding significant mods to your rig later on. Also, it probably won't matter to most of you choosing the best power supply for gaming, but it may come up in your research: there's a difference between the maximum power output and the peak power output of a PSU. The maximum power refers to the continuous or stable power that the PSU can produce consistently, while the peak power is the elevated maximum surge the PSU can produce for a limited amount of time (for example 10 seconds). The important one to look for is the maximum power output. Another spec to know about besides the wattage when picking the best computer supply for your gaming PC is what's called the form factor. In other words, the actual physical size of the unit. ATX is the standard form factor (technically ATX12V) and will fit in any ATX computer case. However, while the width, height, and screw placement is the same for all ATX power supplies, the depth of the unit can vary. PSUs are usually 6 inches deep, but powerful PSUs with high wattages may be deeper, so make sure to check that your PSU fits if you're opting for a high-powered unit and placing it in a mid-tower or smaller case. A modular power supply is simply one with the ability to detach any excess power cables that you don't use, which leads to less clutter within your PC case, which then may lead to better overall airflow/cooling, less dust build-up, and it also looks neater (which matters if you're showing off your build with a see-through side panel case). Modular PSUs cost more than normal, non-modular units, and whether or not it's worth the higher price will depend on your personal preference. Having a chunk of leftover cables that you can simply tuck away within your case somewhere may not bother you, especially if you have a case with plenty of room to tuck them away neatly. If you're on a budget and trying to cut costs as much as possible, just get non-modular if you can't find a modular unit at a price you like. Otherwise, if you're building a high-end or extreme gaming computer where price isn't as much of a factor, if you want the best gaming PSU you can get then always go modular as it's obviously the most convenient and will make cable management easier. 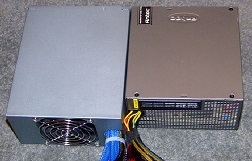 Lastly, there are also such a thing as semi-modular PSUs which is, convenience-wise, in the middle of modular and non-modular power supplies and only come pre-attached with the absolute essential power connections which means less clutter than a non-modular unit but not as much flexibility as modular ones. Power supplies have various efficiency levels which is one measure of how good a particular unit is. More efficient PSUs not only draw less power, meaning lower energy bills, but they produce less heat and therefore less noise as well. The efficiency of a power supply is given a rating, with "80 Plus" being the bare minimum rating you should go for. Meaning, if a unit doesn't have "80 Plus" mentioned somewhere then chances are you should avoid it. There are always exceptions to the rule though, but in general opt for a 80 Plus unit or better whenever you can. There are levels to 80 Plus ratings, with basic 80 Plus, then 80 Plus Bronze, Silver, Gold, and Platinum, in order from least to most efficient. For super powerful gaming computers you'll want a gold rated PSU or better for maximum efficiency. What are PSU rails? You don't need to understand them to choose the best power supply for your computer, but you may be curious - especially if you're deciding between different high-quality PSUs and you're wondering the difference between single vs multi rail power supplies. If you're planning a cheap gaming PC build or even a mid-range sorta setup, you won't need to know what PSU rails are, but if you're a power user and want to be as smart about your PSU choice as possible (because as mentioned the more powerful your build the more important it is to pick best PSU you can get your hands on) then let's discuss what PSU rails are, how they work in a nutshell, and what you need to know about them. Power supplies have different “rails” and the individual rails of the PSU can be an important factor to consider when picking the best quality PSU for a high-end PC. There is one particular rail of a PSU that is most important: the 12V rail. This one provides power to your most powerful parts including the CPU and GPU. In a typical gaming computer the graphics card will require the most power, and so you’ll want to get a PSU that has at least 24A (amps) on the 12V rail if you have a single mid to high end GPU, and at least 34A for a high-end SLI or CrossFire video card setup. These are just general estimates so if you want to be super prudent about your PSU choice it's best to find out exactly what your GPU setup will require. There are also two different types of PSUs out there, single rail and multiple rail PSUs. Single rail units have a single high-powered 12V rail to power all your parts, while PSUs with multiple rails have more than one 12V rail each with different amperage's to divide power between two or more rails. Whether a unit has single or multiple rails doesn’t affect its overall performance, but basically, if you require a lower-power PSU such as 550 watts or less, the whole single vs multiple rails issue simply does not matter and either will be fine so long as you still pick a decent-quality unit. But for power users, a dual/multi rail power supply will offer an extra layer of protection in case there's a short circuit, and when you start heading into extreme enthusiast territory with beasty 1000w PSUs and above, multi-rail PSUs start to become a whole lot more crucial as it's risky and dangerous to output so much power on only the single rail. Another thing you may need to also to consider when choosing the best PSU for gaming PCs is the connectors that a certain unit comes with. Once again, like with PSU rails, if you're building a budget PC and you stick to a popular PSU, you probably won't have to worry about this, but for more advanced builds it's something to at least double check. So basically, PSUs typically have the same connectors, but some vary slightly in what they have. For example, all computer power supplies should have either a 24 or 20+4 pin mains connector that connects to your motherboard, and either a 4 or 8 pin 12V connection that goes to your CPU (but that also connects to your motherboard). You may also need to check that your chosen PSU has the right amount and types of PCI-Express connectors for the needs of your graphics card/s, as some cards will need its own power connection to your PSU. If you’re running multiple cards in SLI or CrossFire, you'll need to check that your PSU is either SLI or CrossFire compatible as not all are. One thing to keep in mind though is that some high-end PSUs won’t officially list support for SLI/CrossFire but they are still capable of powering multi-GPU setups. 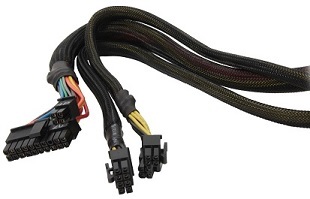 Lastly, check that your PSU has enough SATA or Molex 4pin connectors for your hard drives, optical drives, and other devices like case fans which may require Molex connectors. Most modern units will come with plenty though, but you never know especially if you have a lot of components to hook up. As for the best PSU brands as of 2018, some of the best would have to be Seasonic, EVGA, Antec, XFX, Silverstone, Corsair and Thermaltake, although you also have to look into the specific model as well as even top brands produce lower quality units. But sticking to the mentioned PSU brands is a safe bet, although the more powerful your PC, the more important it is to pick as high quality and efficient a model as you can. If you're looking for specific recommendations on the best PSUs to buy right now for your new build in terms of quality, reliability, and value for money, see our recommended gaming builds section where we always do our due diligence to only ever include good-quality, reliable gaming PSUs.